This photograph shows inmates Jonathan Quinn, prisoner number 7472, and Ollie Craig, prisoner number 9379. Jonathan Quinn was received at the Kansas State Penitentiary on June 24, 1895 from Wyandotte County, Kansas for murder. See also Unit ID 311260. 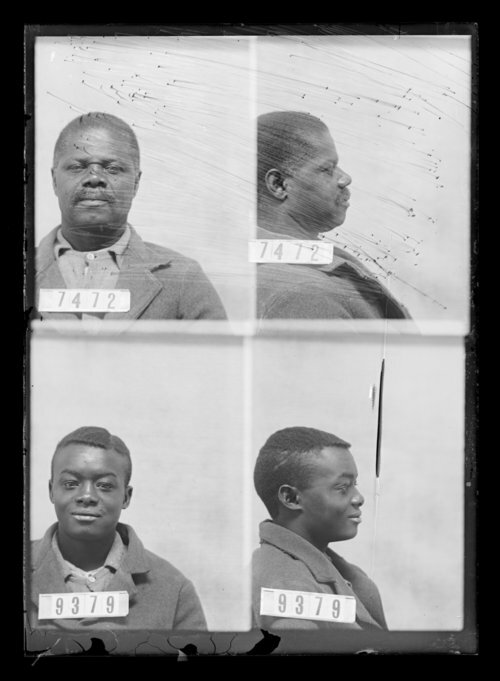 Ollie Craig was received at the penitentiary on May 27, 1900 from Sedgwick County, Kansas for larceny.